AJ Swimming has been producing swimmers now for ten years. It all started back in 2002 when Andy came back from his travels in New Zealand. There he spent all of his time teaching and coaching swimming which has given him an insight to different techniques used in the art of coaching and teaching swimming. Andy, then at University studying Behavioural Science after already completing his H.N.D in Sports Coaching and Development decided to use his new found teaching knowledge and implement them with some 1-2-1 swimming lessons at weekends. Continuing down this path and gaining his degree in Behavioural Science Andy opened up group swimming lessons in Carnoustie High Swimming Pool. 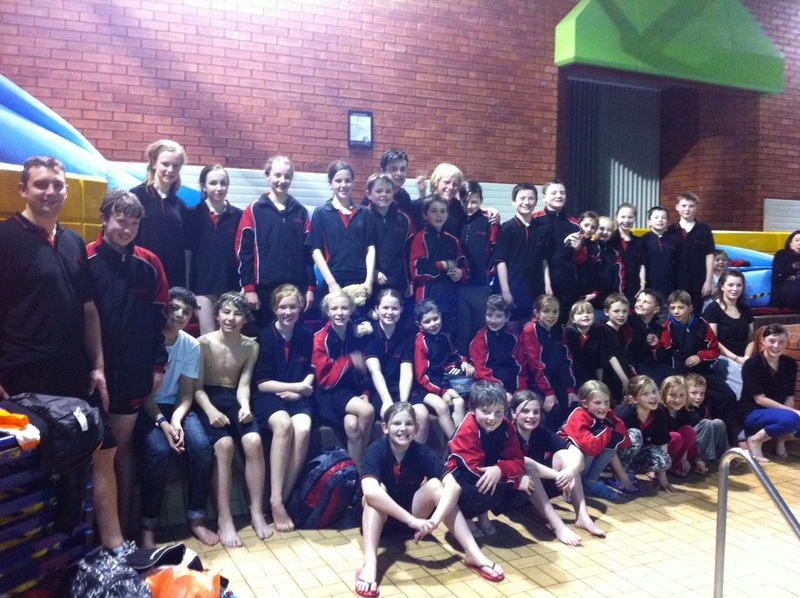 These were to be a huge success and numbers within the Swim School grew to 100 swimmers. As AJ Swimming is committed to producing the highest level of swimmers it was decided that in the best interest of each swimmers development and the community Andy decided to create a community based swimming club. Therefore the swimmers who had reached the final stages of AJ Swimming were the founding members of Carnoustie Claymores. 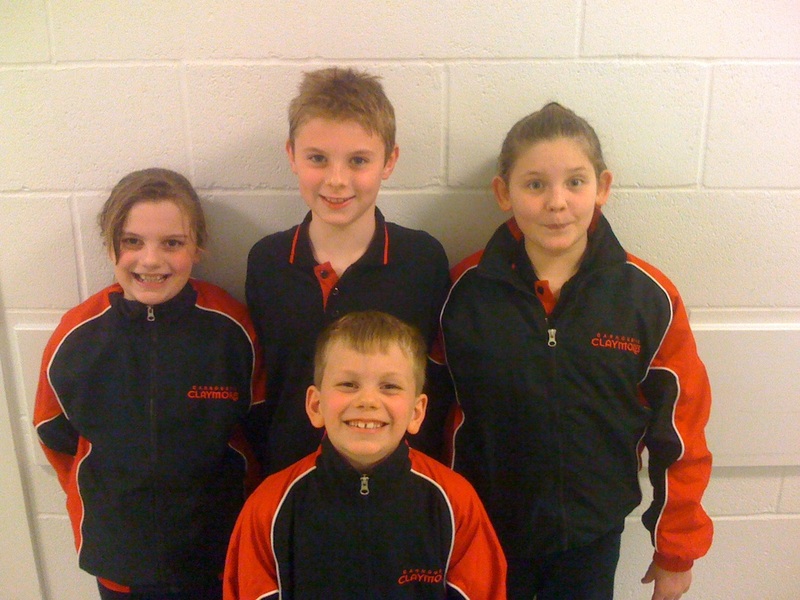 Many of the swimmers at AJ Swimming set themselves their own target to become a member of Carnoustie Claymores. However this is not an essential progression as swimmers who are only there to learn to swim will have achieved their goal and be able to swim to a high standard. Andy took on the role of Head Coach at Carnoustie Claymores and is still in the role to the present day. As a result of the hard work of Andy, his coaching staff at AJ Swimming, and a dedicated committee comprising of parents. Carnoustie Claymores have now been crowned Division 2 Champions of 2013. The Claymores will now be entering two teams in the leagues. One team in Division 1 and one team in Division 2 as they go from strength to strength. Therefore AJ Swimming is now the proud feeder swim school for Carnoustie Claymores always producing swimmers of the highest competitive standard. 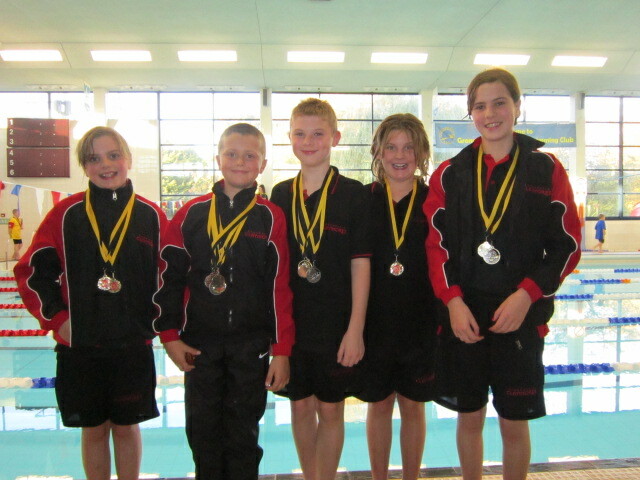 Abbie Low, Ryan Duncan, Paul Thomson Chloe Cameron and Katie Wallace winning Medals at a Swimming Competition. All Previous AJ Swimmers. The coaching philosophy of any swim club/school underpins the essence of its morals and its priniciples. Every Swim club/school must determine their own unique philosophy - the unwavering principles that will provide consistency and clarity in decision making. 1. There is no substitute for hardwork. All swimmers must invest the time and effort in the sport. Success in competition is the direct result of how much work each individual puts into it. Similarly, there are no short cuts for a coach. Consistent and persistent effort by athletes and coaches is a pre-requisite for achieving anything worthwhile in swimming. 2. Every athlete counts. A team is only as strong as its weakest link. I must be concerned about the attitude and improvement of every team member. Team strength comes from raising the standards of all team members. 3. Winning is not just being Number 1. Every swimmer in our school can be and should be a winner. A winner sets goals and then strives to attain them. 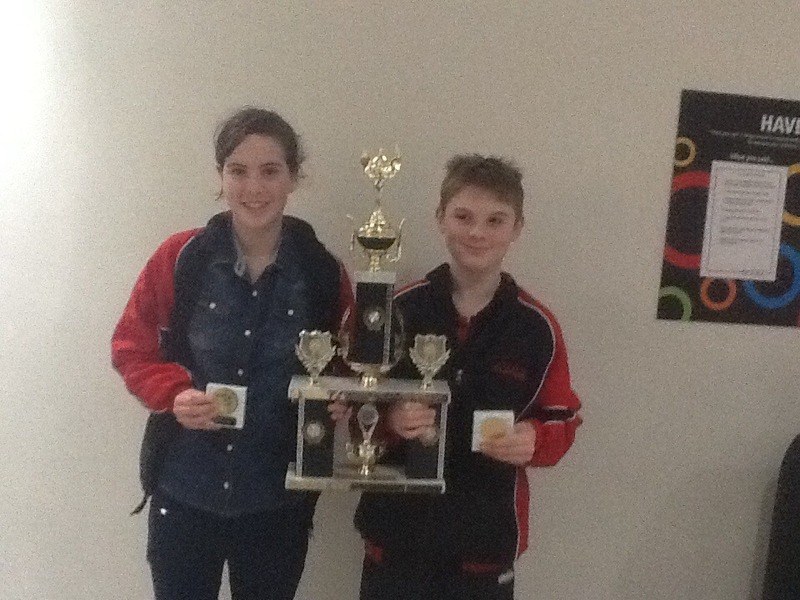 Both swimmers and coaches who continue to strive for their goals are winners. Winning must be measured against one meaniful and reliable standard - yourself.